Stay charged with smart electrolytes!! 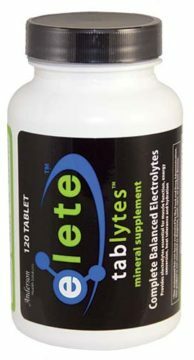 elete is proven efficacy, bio available, and balanced with other minerals, trace elements and more for less price. 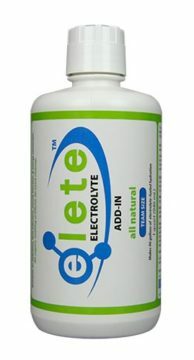 Enjoy the original pure elete Electrolyte Add-in™. 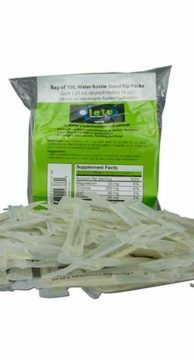 elete is designed without sugars, flavorings, or anything artificial. elete can easily be added to any beverage or food. Make functional electrolyte water that tastes like water. 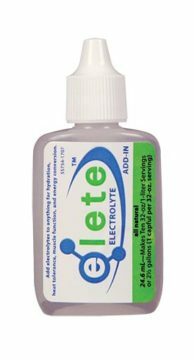 At full concentration, elete Electrolyte Add-in™ tastes very salty, but when mixed with purified water or other beverage as directed, elete adds little or no noticeable flavor. 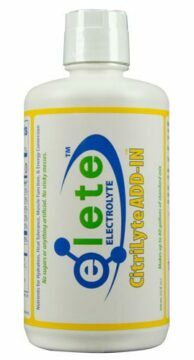 elete CitriLyte Add-In™ is a liquid electrolyte concentrate contains sodium, potassium, magnesium and chloride, four major electrolytes plus zinc, an essential mineral for optimizing athletic performance, and citrus flavor for tartness. 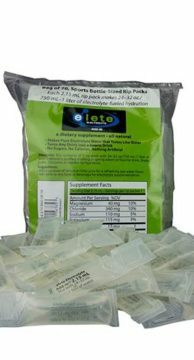 Either elete add-in can be added to water, gels, flavored beverages, diluted sports drinks, protein drinks or regular food. 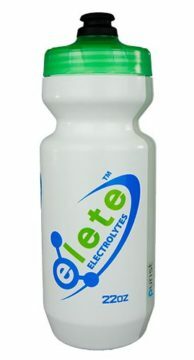 The bottles provide a great value, making sufficient, ongoing electrolyte replenishment affordable. 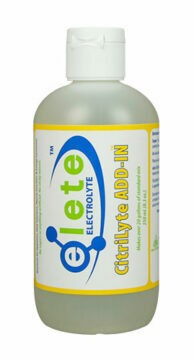 elete CitriLyte Add-In is a climber’s best friend, scientifically proven to enhance the thirst-quenching and restorative effects of good old H2O. I’m delighted to have the support of elete, I know it’s a great product. I’m happy to endorse the product, as an athlete and as a doctor. It will I am sure, become an increasingly important resource in keeping competitors performing well in endurance events. 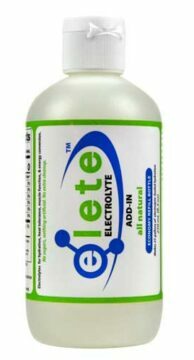 elete: its value for money compared to other sports drinks. 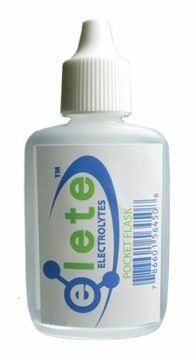 Also, how whenever you have a glass of water after a session you can use a drop of elete.